The perfect way to cool down hot feet and tired, heavy legs. Herbacin Foot Care Cooling Gel is the perfect way to cool down hot feet and tired, heavy legs. With its cooling care complex of menthol, menthyl lactate and camphor, it not only ensures long-lasting, delightfully invigorating freshness, but its active ingredients of red vine leaves and horse chestnuts simultaneously strengthen and tone the veins, enhancing the blood flow in your legs. 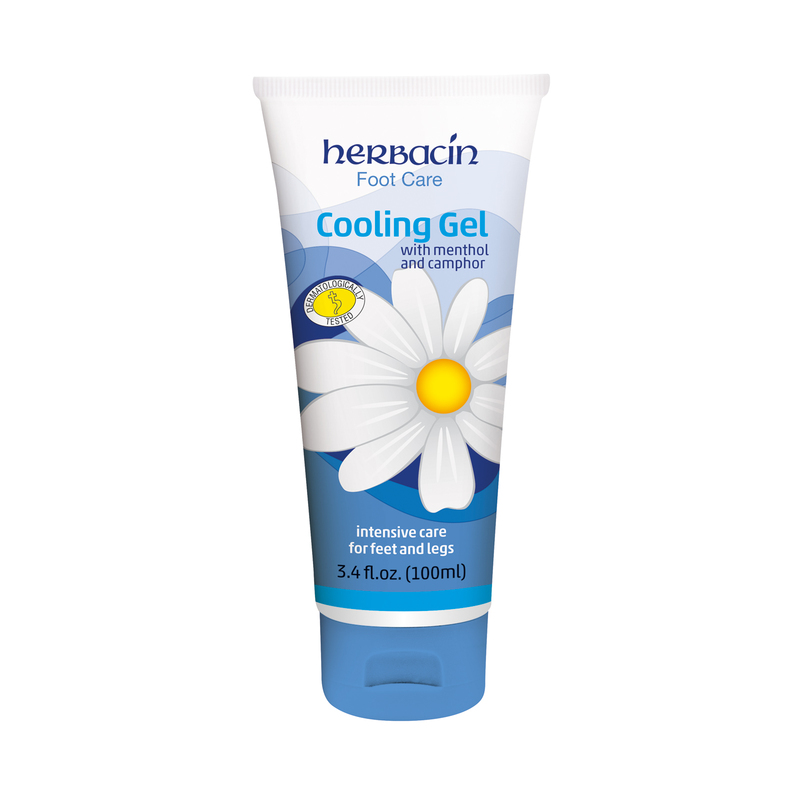 Our hydrating Herbacin Cooling Gel absorbs quickly without leaving a sticky film on your skin, while leaving your feet and legs feeling refreshed and revived.